Korean Ginseng Ren Shen Graded Heaven 10, whole roots are in 21.16 catty (approx. 1–1/3 pounds), which carries the official Korean Government seal of authenticity. This is the real deal folks, it’s the highest quality, it’s extremely powerful and effective, and all are grown 8 years or longer. These roots were grown by the Korean Government, and they all carry the Korean Government’s seal of approval. The bad news is these roots are so expensive most can only dream of using them. The price on this item constantly fluctuates, please check with us before purchase to confirm the currently listed price is still available. 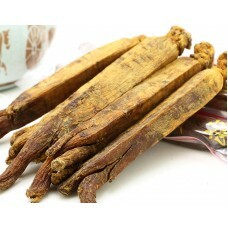 These roots can be used to prepare a medicinal wine (aged in alcohol), or brewed into tea or cooked in a ginseng cooker. This product is not available in the sliced form. 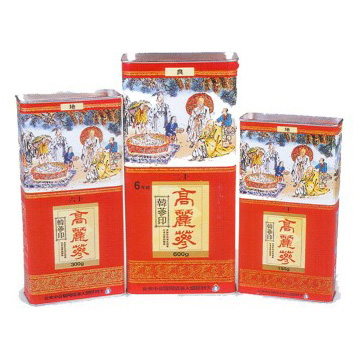 Ginseng cookers are a way of preparing Ginseng tea that conserves the subtle properties of the root. This traditional method involves the use of a double boiler, which is known to produce a more robust, full- bodied and potent brew. When Ginseng is prepared in this manner, many of the essential nutrients of the Ginseng, which normally dissipate in steam, are preserved. An added benefit of this method is that because the tea remains below the boiling point, photo-nutrients are retained that would otherwise be lost by boiling. Detailed instructions for preparing Ginseng in a Ginseng cooker can be found by clicking on the “Herb Processing Instructions” link in the below section of this website. We're sorry but no samples of this product are available.